The Zoggs Finding Dory dive sticks are an excellent choice for fun, underwater play and enables children to gain confidence in the swimming pool. Suitable for kids aged 3 and above, this dive and retrieve game is great for swimming training and includes sticks that sink to the bottom of the pool to let your little swimmer race and collect them. Featuring soft and flexible construction, the dive sticks ensure safety in the water and can be used by one or more players. 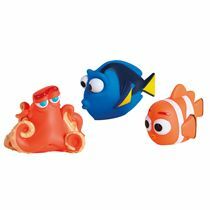 Have an exciting time with your child playing a toss-and-seek game and help your little one in finding sinking Dory, Hank and Nemo. 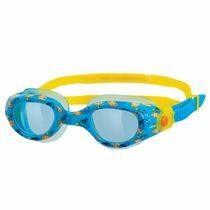 for submitting product review about Zoggs Finding Dory Dive Sticks.